I spend my every half day at home and the other half - or more - at Steve's place. The photos where taken at back yard after rain. We normally gather here for movies - mostly horror movies - eat junk food and have a great time. 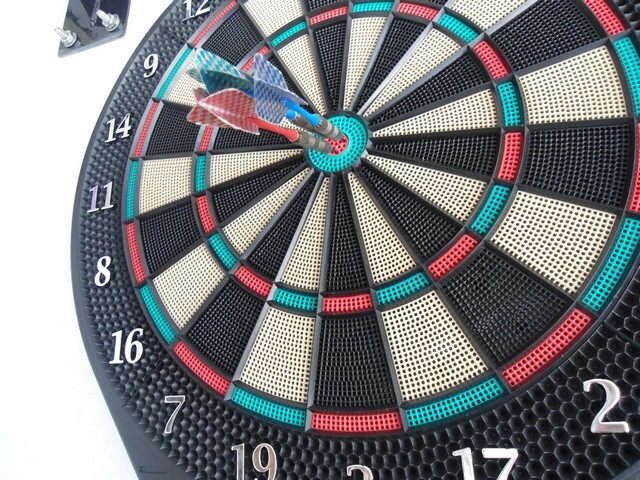 We also enjoy playing darts, do you like it as well? When I just want to feel comfortable I wear jeans, a cotton top and sneakers. This peplum top is from previous SS but I still love it. I like that outfit and that pants are sooo nice. Have a great day. To panteloni sou einai uperoxo panw sou. i LOVE peplum.. so flattering. I am such a huge fan of leopard! unexpected combo with the white converse!! love it! Great top and I love your bag! You are so elegant here Mary. A true fashionista!! You looking gorgeous having animal printed trouser. looking so nice! love your style.